A new initiative to stop shoppers squeezing avocados to test the fruit’s ripeness has resulted in a halving of bruised fruit and higher avocado sales. Research conducted earlier this year had found 97 per cent of customers gave avocados a squeeze to test ripeness before buying, which was leading to brown marks on the flesh once the fruit was cut open. 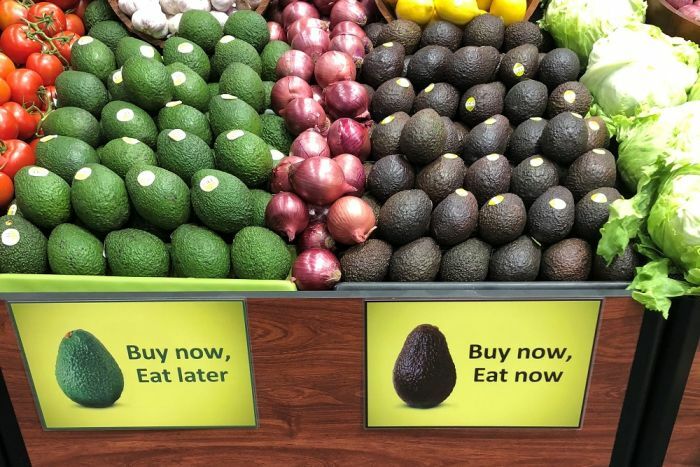 To improve quality and ensure customer satisfaction, the avocado industry employed a marketing firm to come up with other ways consumers could determine whether avocados were ripe at the point of sale. A low-cost and effective solution devised was to segregate the fruit on display according to the stages of ripeness. Trials of the initiative resulted in a 60 per cent reduction in bruising, and the other, more unexpected result, was a 30 per cent increase in the amount of avocados sold. Visit the ABC News website to read more.